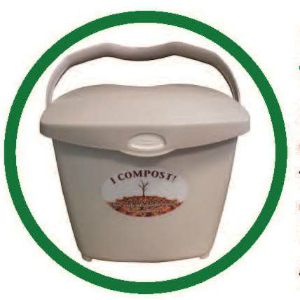 The District has compost bins, a kitchen collection container and accessories for sale. See the list below or view a printable flyer. The following items can be purchased at the Solid Waste District 4750 East 131 Street in Garfield Heights. Our regular office hours are Monday-Friday from 8:30 a.m.-4:30 p.m. 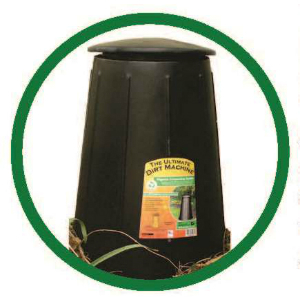 They are also available for purchase at a compost seminar. Check or cash sales only. All sales are final. 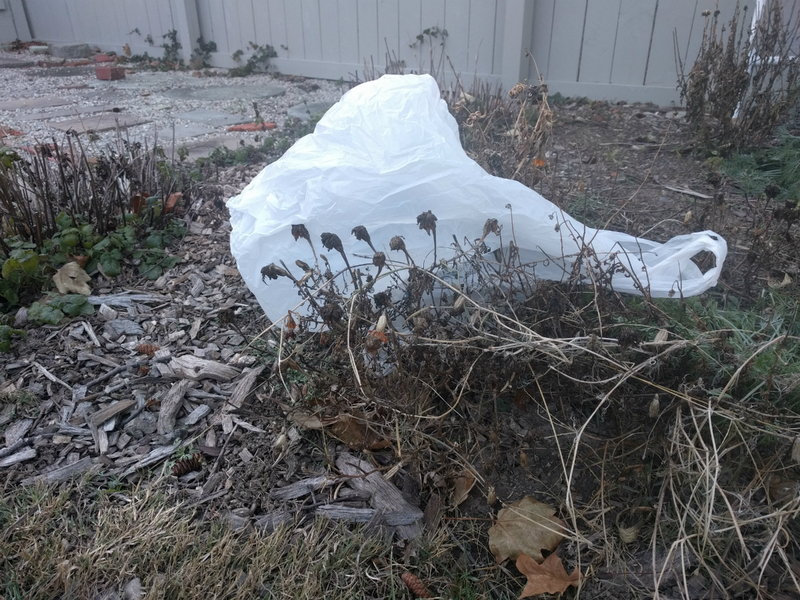 Do you want to learn more about backyard composting? 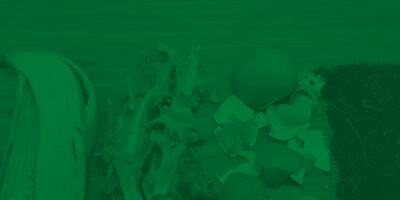 Attend an upcoming compost seminar or see tips on backyard composting. 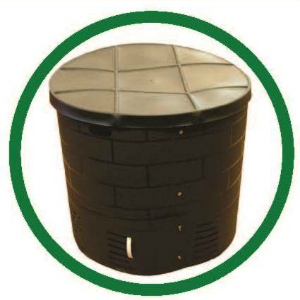 80 gallons, 25” x 39” medium capacity digester; tight-fitting lid; cone shape allows easy pick up of the bin for annual clean out. 135 gallons, 30” x 36” large capacity composter; handholds to move bin for maintenance; attractive brick mold pattern, large lid; wide opening to add contents and work the pile; stainless steel nuts and bolts, recycled plastic. 1.9 gallons; 11” x 9.5”; food scrap holding pail; dishwasher safe; vents for air flow; lid stands for secure closure; grips for easy handling; odor and blemish resistant; HDPE plastic. 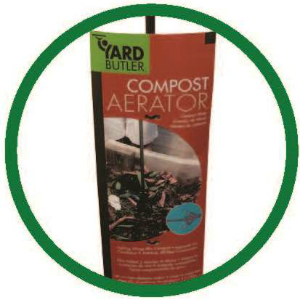 Compost aerator; all-steel construction; anti-rust coating; lifetime guarantee for material and manufacturing defects; mixes compost without heavy lifting. 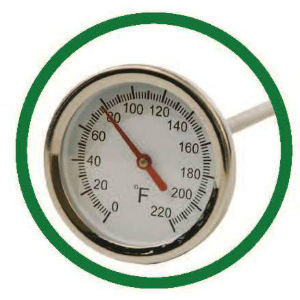 Easy-read dial; stainless steel body; stainless steel 19” probe.